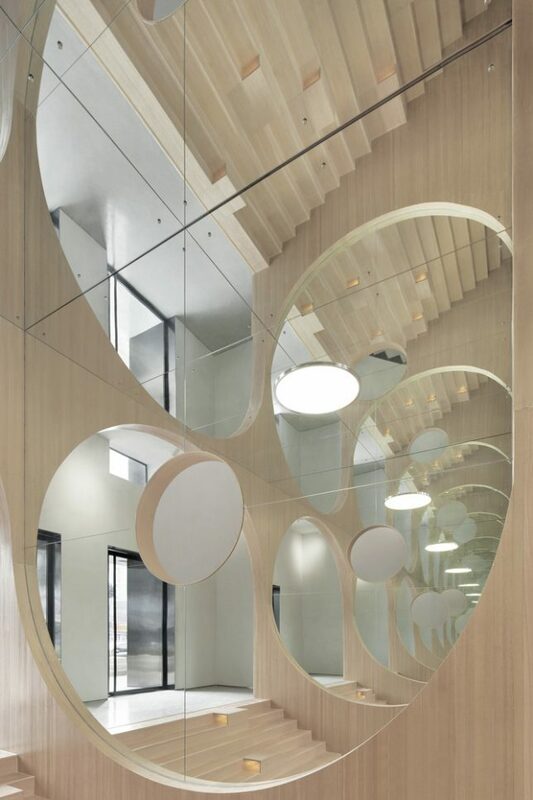 Kinetic architecture, verdant cascading balconies, timber-frame skyscrapers and double-helix bridges: Beijing- and Salzburg-based multidisciplinary firm Penda brings all sorts of refreshing ideas to the worlds of architecture, landscape and interior design. 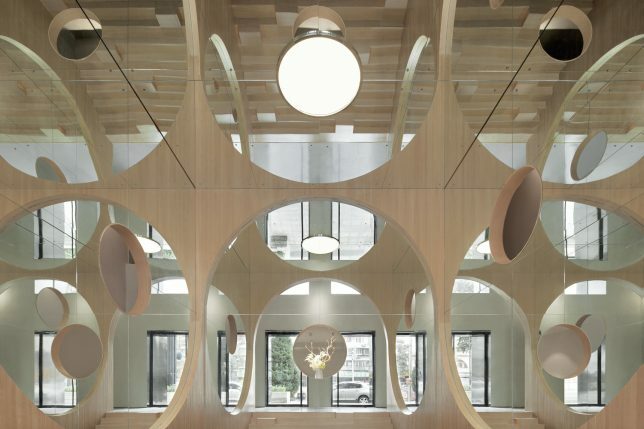 Founded by Chris Precht and Dayong Sun, the youthful firm subverts norms and commands attention with its surprising solutions, and we’ll likely see a lot more stunning projects from them materializing in the future. 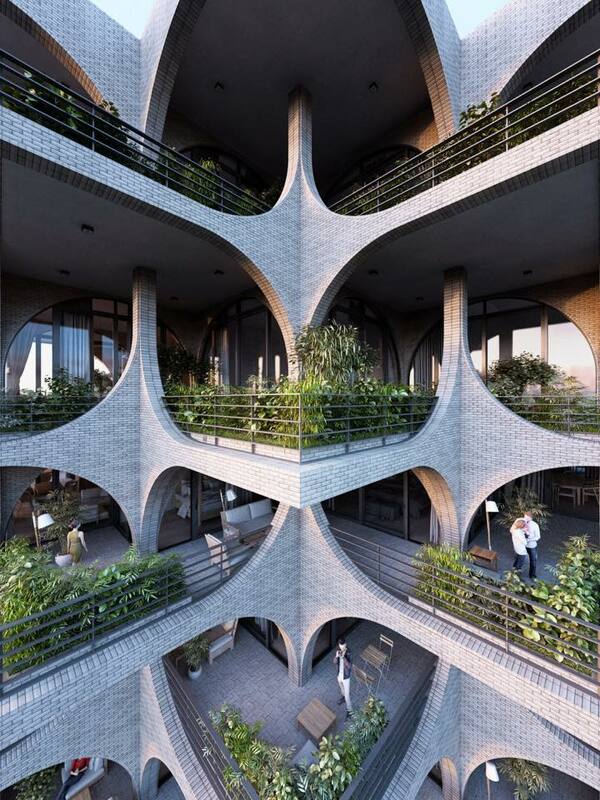 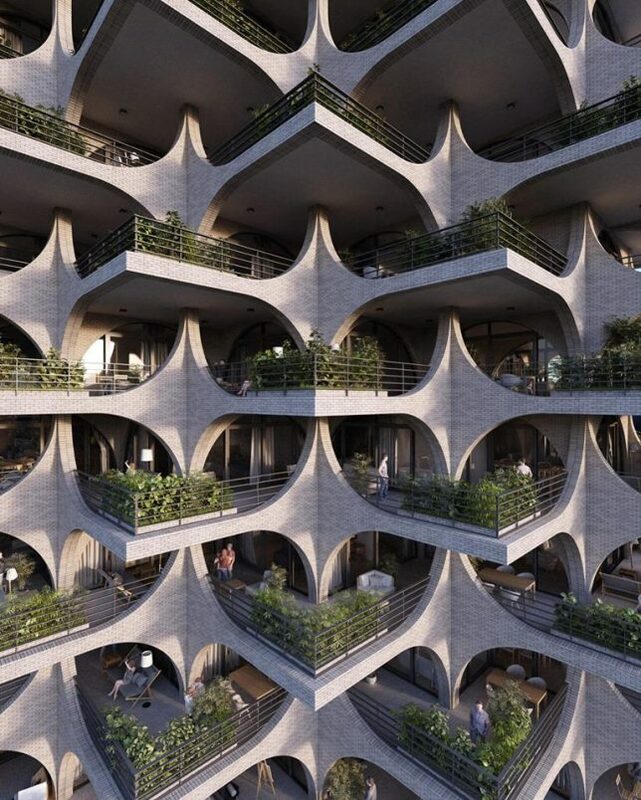 This September, Penda teased architecture fans with exciting images of a new project, the Tel Aviv Arcades, without providing any information. 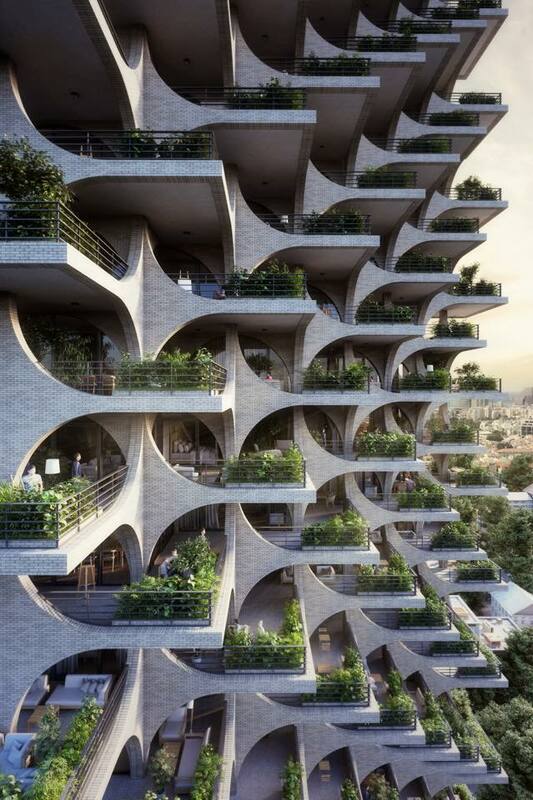 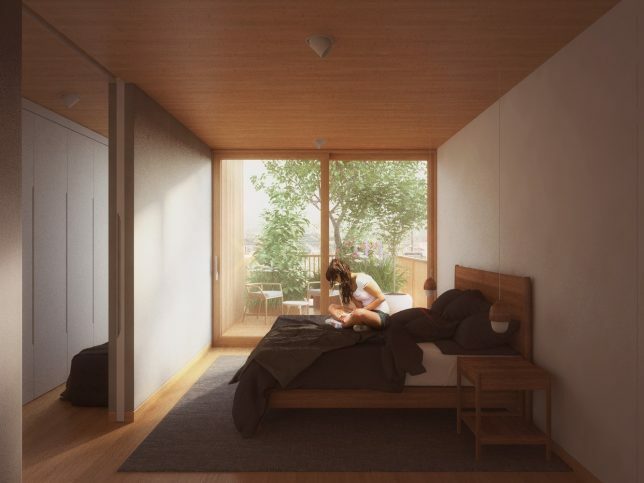 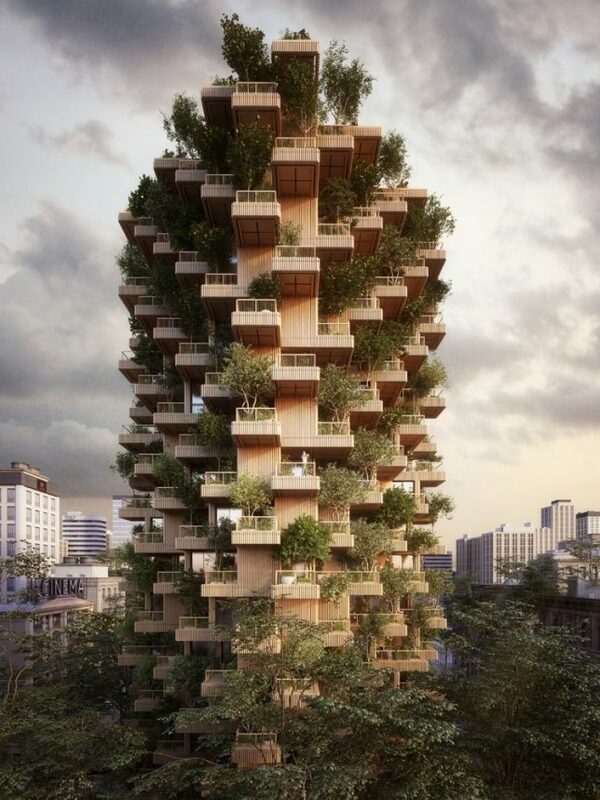 “Excited to share one of our current projects with you: a residential high rise in Tel Aviv,” they wrote on Facebook. 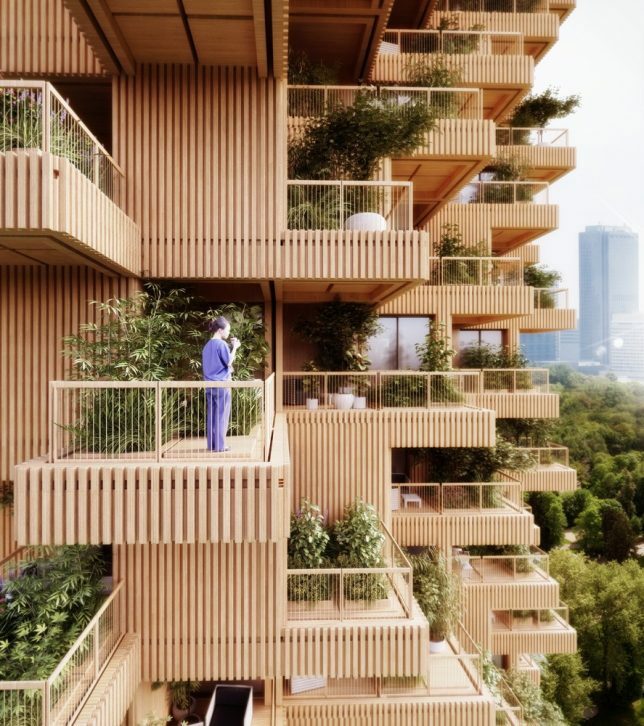 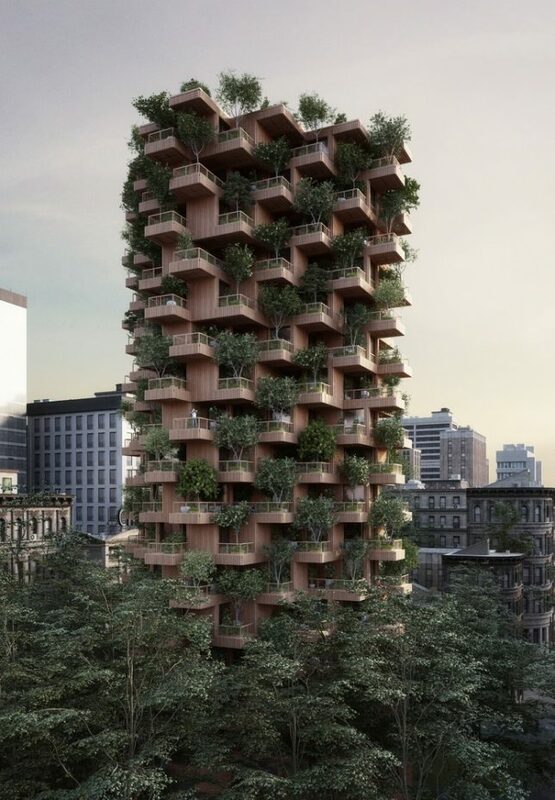 “Here a preview, more soon!” Over 8,000 people liked the photo showing the building in profile, with a cascade of balconies providing natural light and green space to every floor. 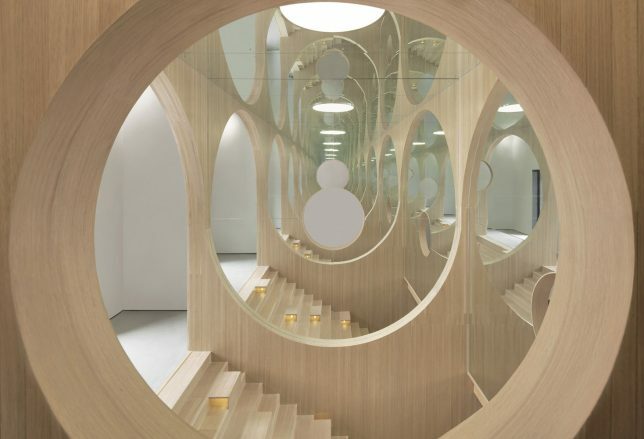 Located in Beijing, Penda’s interiors for ‘Art Auditorium,’ subdividing the multi-use space with curving, organic wooden cutouts that are almost Art Nouveau in nature, contrasting with a heavy, minimalist concrete facade. 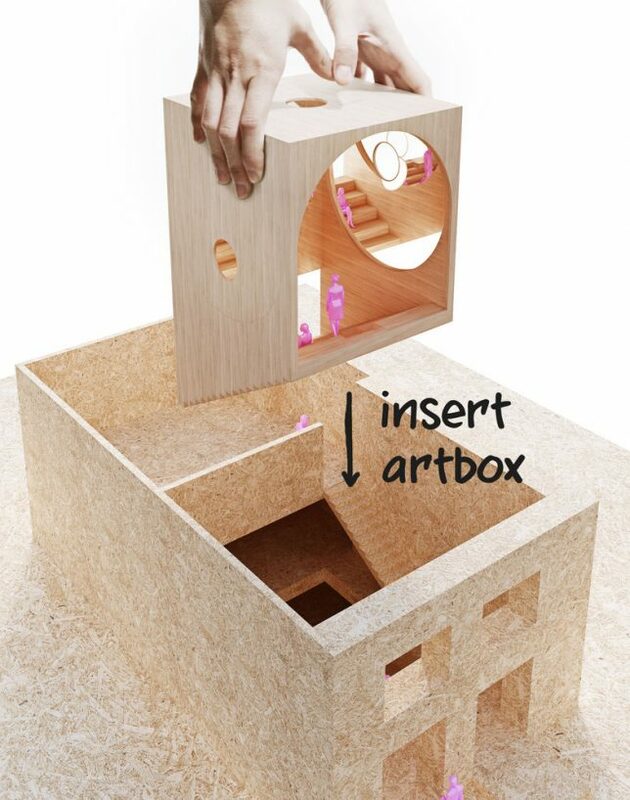 The firm inserted what they call the ‘art box,’ an all-in-one wooden built-in, which adds arches mirrors and steps to small areas for lectures, readings, small exhibitions and an area for trading artwork.